Here you will find answers to some of the most frequently asked questions we hear during our conversations with prospective parents. We hope these answers will be helpful to you as you think about the admission process. Please also browse the rest of our website where you will find more detailed information about our philosophy, academic program, arts and athletics, as well as our faculty and our community. When should I begin the admission process and is there a deadline for submitting an application? We recommend beginning the admission process the year before you would like your child to enter Country School. Parent visits and tours of the school begin the first week of October, and we encourage you to contact us at your earliest convenience to allow for flexibility in scheduling your visit and to give yourself adequate time to learn about our school. The priority application deadline is January 15. What is your commitment to financial aid? Believing strongly that the cost of an independent school education should not be a deterrent to any prospective student or family, Country School has a longstanding policy of offering need-based financial aid to eligible admission applicants. For the 2018-2019 academic year, Country School awarded over $3.8 million in financial aid and remission. You will find more detailed information on our Financial Aid page or by contacting our Admission Office. Please let us know if you have questions. How many students attend Country School? Are there age cut-offs in any grades? Yes, for Beginners and Kindergarten only. For Beginners 3/4, students must be 3 years old by August 31 of the year they begin school and for Beginners 4/5, students must be 4 years old by August 31 of the year they begin school. Kindergarten applicants must be 5 years old by August 31 of the year they begin school. For students applying to Grades 1-9, we consider age on a case-by-case basis. Is there a before and after-school program and does it accommodate the schedules of working parents? Understanding that, for many families, the typical school day does not accommodate their needs, our Plus Program offers before and after school programming for all students in Early Childhood through Grade 9. For an additional fee, the program provides several options for enrichment and fun in a nurturing environment: Beginners Connections, Early Birds, Extended Day for Beginners through Grade 6, Enrichment Classes, Homework Central and Music Academy. Our after-school programs are fully staffed until 5:30 p.m. Please visit the Plus Programs page to learn more about this program. What percentage of families identify as racially diverse? Our students will live in a world more diverse and interdependent than that of any previous generation. 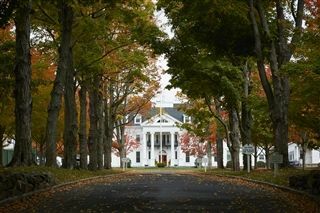 At New Canaan Country School, we believe that helping students to understand and attain their intellectual, creative, moral and physical potential means, among other things, preparing them for responsible citizenship in such a world. The school is committed to the development of compassionate people who value and respect our common humanity. We believe that an inclusive school community invites greater academic and personal success and strengthens a sense of belonging. We strive to create an environment where each member feels comfortable and accepted and where differences and commonalities are appreciated in equal measure. Currently, approximately 22% of our student body are self-identified as United States students of color. Please visit the Diversity & Inclusion section to learn more. Country School’s admissions decisions are not based solely on one element but rather on the conglomeration of all submissions gathered during the admission process. Keeping in mind a child’s readiness to be successful in our program, we evaluate school records, assessments/testing, interviews, and student visits as a means to determine which students are likely to succeed in our program. Then, we carefully comprise our classes in relation to important compositional needs. How much weight is given to standardized testing? As standardized testing can provide a consistent lens into a student’s academic profile, we place appropriate importance on it. However, it is by no means a singular measure of a student’s capabilities and is reviewed in conjunction with the many other application submissions. How do you address campus security? We believe that a close community that knows and cares for one another is the cornerstone of maintaining a safe learning environment for children. The relationships we form with our students and families make us not only academic partners but partners in safety. This belief coupled with training, technology, policy, and continuous improvement is what provides the framework for our campus safety program and for establishing a culture of safety. Do you prioritize environmental sustainability? Country School is a leader among private and public schools in its commitment to sustainability. In our curriculum, service projects, campus operations, energy use, building construction, and food programs, we model environmental responsibility for families and the community. How is technology used to support teaching and learning at the school?